We visit Pittsburgh, the former steel-manufacturing hub in Western Pennsylvania. The home of three rivers, strong sports teams, and multiple universities, we see a high school girls' team construct robots for a competition. We also attend a picnic, visit the top of a mountain, and worship with a Baptist church. 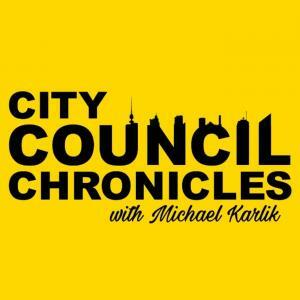 City Council Chronicles provides reviews of city council meetings from across the world. Named a "Top 100 Local Government Influencer" in 2016 and 2017 by ELGL.org. Link: https://councilchronicles.com/ Twitter: @michaelkarlik. Graphic design by Ben Wasserman. Twitter: @benwassertweet. E-mail: wasserman.benjamin@gmail.com.